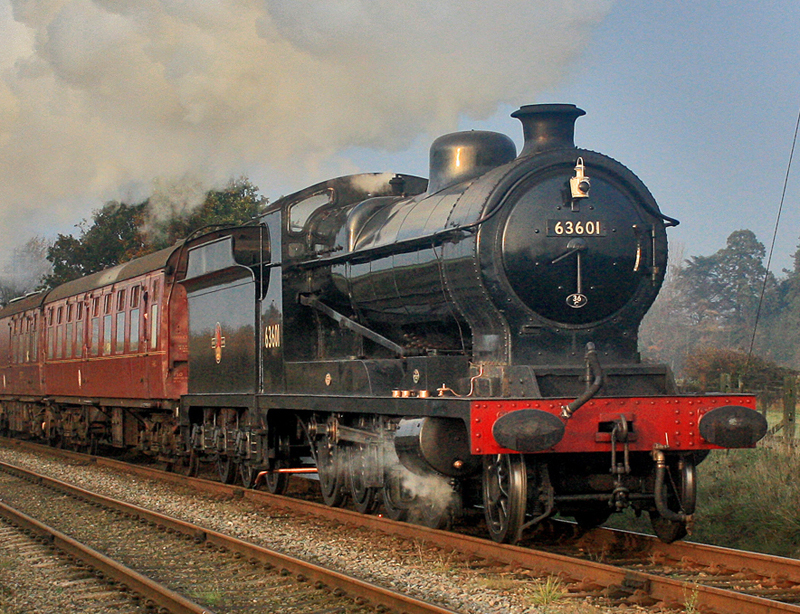 Remarkably No.63601, GCR 8K Class, reached its one hundredth birthday in January, 2012. As No.102 the locomotive rolled out of the Gorton works of the Great Central Railway in January, 1912 and was one of the first of the class designed to haul the heavy freight trains to and from the enormous new port of Immingham opened by the GCR in July,1912. The GCR 2-8-0 class has a complex history as in the First World War the design was selected by the Railway Operating Division for large scale production. 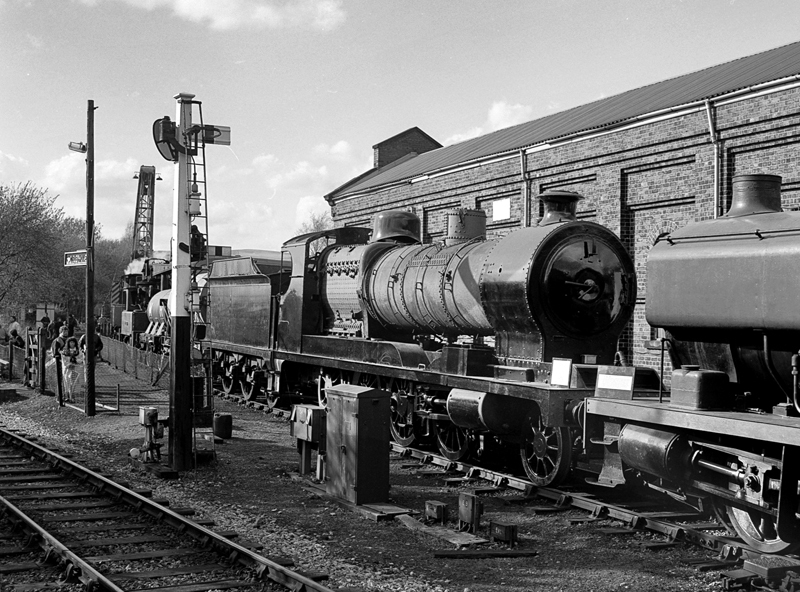 These and engines commandeered from the GCR became known as RODs. Even in the Second World War the GCR locomotives saw extensive service at home and abroad and was even considered for further production to aid the war effort until the Stanier 8F, which was in production at the time, was chosen in stead. Some of the engines were even used byBritain’s other railway companies and the class became the mainstay of heavy goods services throughout the LNER period. However, No.102 was not part of this complexity as it remained throughout, with the inevitable minor modifications over a fifty year working life, a locomotive true to the original Great Central Railway design. The locomotive was first numbered 102, then re-numbered 5102 in June, 1925, 3509 in April, 1946, 3601 in February, 1947 and finally 63601 in September, 1949. The O4 classification normally used to identify the locomotive was that used by the LNER. The building of No.102 was authorised on 8th August, 1910 as part of an order for twenty as Lot No.340 and was completed at a cost of £3352. 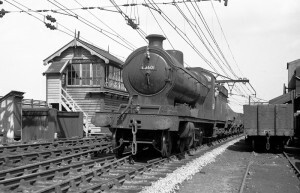 The locomotive’s boiler was similar to that used on the Robinson Atlantics, LNER Class C4, and was designated “No.6 Standard”. 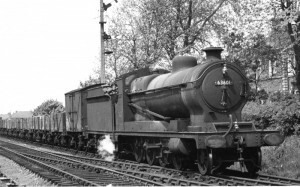 The boiler was designed for a pressure of 180psi (some reports say 200psi) but was expected to work in normal service at 160psi according to locomotive reports written at the time. At this pressure the boiler was capable of delivering a continuous 1100 Indicated Horse Power (IHP) - that is the power within the cylinders. The power at the rail and drawbar would be slightly less than this due to friction in the cylinders and motion. The tractive effort at 160psi was 24,931lbs. The O4 design was straightforward but they were well engineered. The main frames were machined from 1¼’’ steel and were massively braced. As a result the locomotives were extremely reliable and suffered none of the frame cracking around the horn guides experienced in the designs of other railways. During its working life No.63601 was allocated to sheds serving the very arduous Pennine route from Manchester, through the Woodhead Tunnel, to Sheffield and on to Immingham. Its first allocation was to Gorton on 14th March, 1912 and then followed allocations to Sheffield, Mexborough, Barnsley,Doncaster, Frodingham and Immingham. Traffic to Immingham was on a massive scale and included coal, pig iron, iron ore, wood pulp, timber, pit props, grain and other products. Imports included wool from Australia for the West Riding of Yorkshire. The O4s were heavily engaged in this work and in the build up of the steel works at Frodingham where iron ore was shipped in and finished steel rolled out. Of course, No.102 had to endure the privations of two World Wars when heavy and continuous traffic was supported by very little maintenance. The fact that it survived through to the later days of steam in virtually its 1912 condition, along with some of its contemporaries, is a testament to the soundness of the original design. 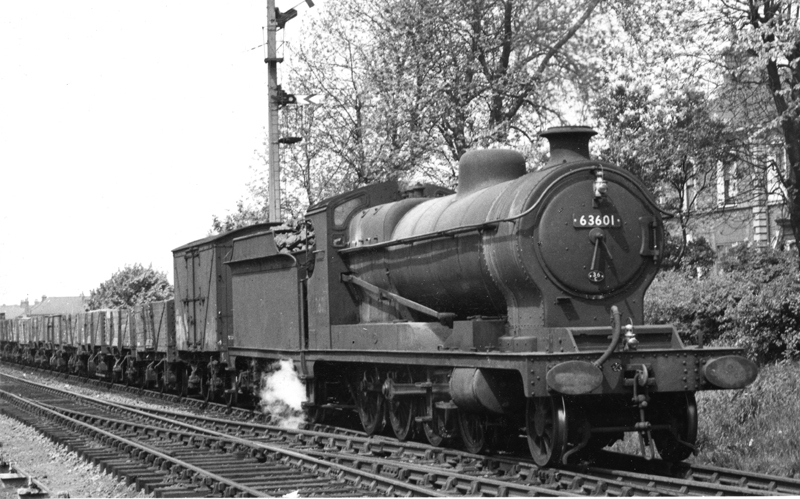 After a hard working life of over fifty years hauling heavy freight trains over the GCR’s Pennine route No.63601 was withdrawn from service at Frodingham in June, 1963 where it had spent many years supporting the Iron and Steel works there. With the demise of steam prophesied under the 1955 Modernisation Plan the British Transport Commission invited suggestions for preserving historic railway artefacts. In the June, 1958 edition of Railway World an article proposed the preservation of GCR locomotives of classes D11, O4 and A5. Thankfully for GCR fans 4-4-0 No.506 “Butler Henderson” has been preserved as the example of the D11 class, the O4 is the subject of this article, but sadly the large GCR tank, the A5, did not make it. As an example of one of the most successful steam locomotive designs ever and one of the last three 8Ks surviving with a Belpaire boiler No.63601 was selected for preservation in 1960 shortly after its last general overhaul. With so many locomotives preserved and with no signs for the proposed National Transport Museum locomotives had to be housed in whatever space was available. No.63601 then suffered from numerous transfers in common with other locomotives. As a result immediate restoration was not forthcoming, the locomotive first going to Doncaster works before leading a nomadic existence before returning to Leicester to be housed in the proposed Leicester Museum of Technology at Abbey Meadows Technology Museum. 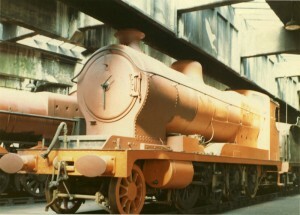 This project was not to be and in 1976 No.63601 was sent to the erstwhile GCR shed and preservation centre at Dinting. Before going to Dinting No.63601 was the subject of a thorough appraisal by the Dinting Locomotive Department staff on a visit to the Leicester Museum on 24th September, 1975. It was concluded that the locomotive was restorable for a sum of £2500 provided the majority of the work was carried out by Dinting staff. Items that needed particular attention included a new tender tank, some bent and missing motion rods and the left hand driving axlebox on the third coupled axle which was scrap. No.63601 was sent to Longsight depot to have the axlebox repaired. This had badly overheated on the move from Brighton to Leicester in 1972, the whitemetal of the bearing having melted and the brass bearing becoming scored and largely destroyed. The axle journal had also become scored and was repaired at the NCB workshops at Walkden, near Manchester. It was not the f irst time this axlebox had given trouble. In 1964 No.63601 left Doncaster in the first week of October en route to Stratford but ran a hot box and was stopped at Oakington near Cambridge. It did not reach Stratford until 15th November. In 1967, on the return to Leicester, it ran a hotbox atLuton. On arrival at Dinting leaf springs were repaired by Dinting staff. On 6th October, 1977 it was noted that a completely new tender would be required as the one fitted to the locomotive was vacuum and not steam braked. Little other than cosmetic work was then carried out at Dinting and with the impending closure of the Dinting Railway Centre in 1990 No.63601 was sent to the National Railway Museum in York. Calls for the restoration of the locomotive to working order grew louder and in 1996 a successful campaign by Main Line Seam Trust Ltd and Steam Railway magazine resulted in the NRM owned No.63601 arriving on the GCR on 6th June, 1996. Although largely complete a thorough overhaul was commenced. The restoration was supported by Steam Railway which ran an appeal campaign, starting in 1997, to raise the £70,000 cost of the restoration. Main Line Steam Trust Ltd immediately chipped in with a massive £25,000 contribution to get the appeal off to a flying start. The readers of the magazine proved great supporters and the required sum was raised. Indeed in March, 1998 Steam Railway was able to announce that a total of £73,242.37 had been raised. Restoration proceeded under the direction of Craig Stinchcombe, the GCR’s Locomotive Engineer, with the assistance of staff and volunteers. Shortly after arrival stripping down started to facilitate the overhaul. All boiler fittings and tubes were removed. The rear buffer beam on the locomotive was removed to be replaced by a new one. On 10th November, 1996 the boiler was lifted off the frames to allow them to be stripped and cleaned. The frames were then lifted to allow the wheelsets to be removed and sent to Swindon for re-profiling. A completely new front buffer beam was fitted and the bent frames, caused by a heavy shunting accident, straightened. 1998 saw the re-assembly of the wheels and frames and the build up of the motion parts. By September of that year the boiler was ready for a re-tube. The tender wheelsets were re-profiled and the tender tank rebuilt. On 18th June, 1999 the re-tubed boiler was successfully steam tested and the boiler returned to the frames on the 22nd. Major efforts saw the locomotive in light steam for the Steam Railway gala held on 7th and 8th August, 1999. At that time the tender still required completion and the locomotive needed a coat of paint to bring it to the mid 1950s BR black livery which it now carries. The work carried out by the GCR's Locomotive Department was of the highest quality and on 24th January, 2000, 36 years after it last steamed, No.63601 moved under its own power. 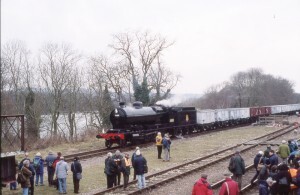 On 28th January, 2000 contributors to the appeal campaign were invited to a special run of No.63601 through Swithland Sidings with a rake of Windcutter wagons. The locomotive ran beautifully and a special day was had by all. Then on 29th/30th January, 2000 at the Winter Gala No.63601 made its public return to service on passenger trains. Since then it has been a regular performer on the line, looking particularly good on freight trains and the Windcutter train as it recaptures its past appearance. Of course, during this period it has received the careful attention of Craig Stinchcombe and his team. Running repairs and overhauls have been carried out as required. In 2001 leaking side stays necessitated a boiler lift when hundreds of copper side stays were replaced. Stripping down started on Good Friday and the boiler was out on Easter Sunday. As the boiler was being re-stayed the opportunity was taken to fit a new smokebox together with a new LNER pattern chimney. The locomotive was back in service in the summer. 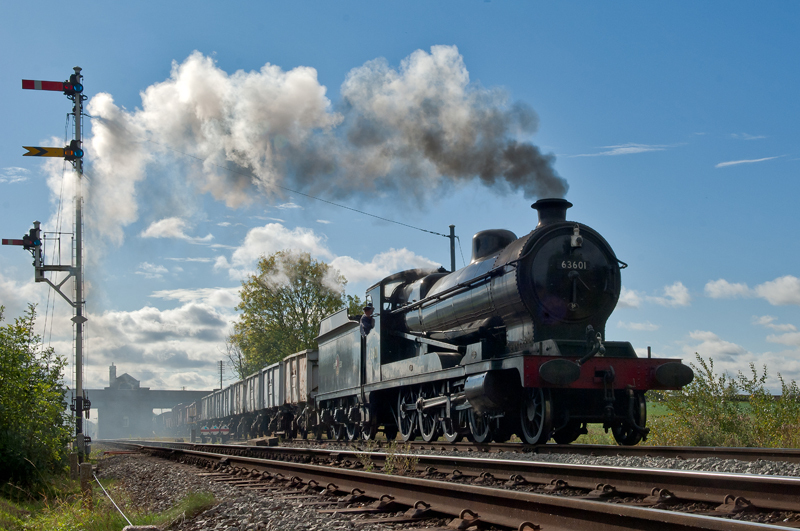 To date No.63601 has worked for the original Great Central Railway for 12 years, for the LNER for 24 years and British Railways for 15 years. There then followed a 33 year hiatus as No.63601 was largely homeless before there were abortive attempts at restoration. The locomotive has now been on the present day GCR for 16 years, longer than it worked for its originating company. In these 16 years it has visited other sites and railways including the Keighley and Worth Valley Railway, Barrow Hill, the Churnet Valley Railway and the National Railway Museum at York. During all this time it has proved an exceptionally reliable locomotive being free steaming and running as smoothly as a sewing machine. Long may that continue. No.63601 appeared at the NRM's Railfest in June, 2012 and made its final run on the GCR before a 10 year overhaul on Sunday, 24th June, 2012. 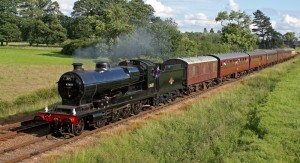 It ran a final passenger train departing Loughborough Central at 17:30, returning from Leicester North at 18:10. It was in immaculate contion and as usual ran perfectly. So, what of the future? In collaboration the the National Railway Museum its condition will be fully assessed before a full 10 year overhauil is commenced. That is expected to take two years so in 2014 she will steam again!